A mysterious noise from the sky is continuing to baffle people all over the world – as well as giving those who hear it sleepless nights. 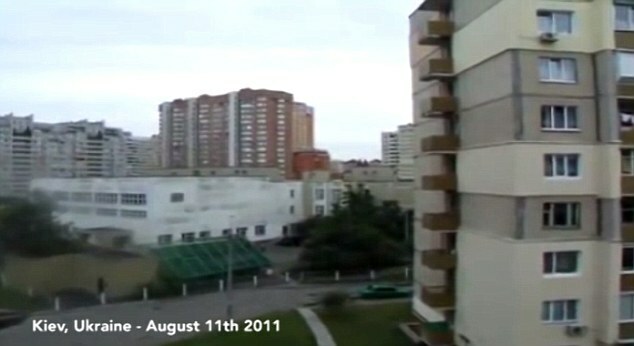 The first video posted on YouTube recording the unusual, unearthly sounds, was in 2008 when a user recorded the strange sounds in the sky from Homel, in Belarus. 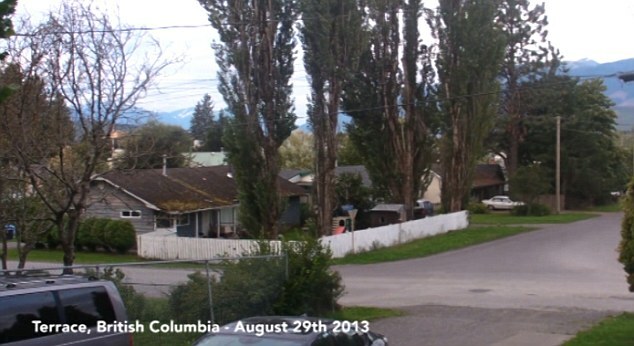 That same year another anonymous user shared the ‘ear-deafening’ sounds that they insisted ‘were not a hoax,’ from a quiet neighbourhood believed to be in the U.S.
Kimberly Wookey from Terrace, British Columbia in Canada first captured the alien sound in June 2013, and since then she has managed to capture several recordings of the noise with her most recent being on May 7 this year. Writing on YouTube, where she posted the videos, Ms Wookey writes: ‘On the morning of August 29, 2013 at approximately 7:30am I was awoken by these sounds. ‘I shot out of bed realizing it was the same sounds I had heard before and I ran looking for a camera to try to capture them with. I came out into the living room to find my seven-year-old son awake and scared wondering what was going on. He had said the noises woke him up as well and shook his window. 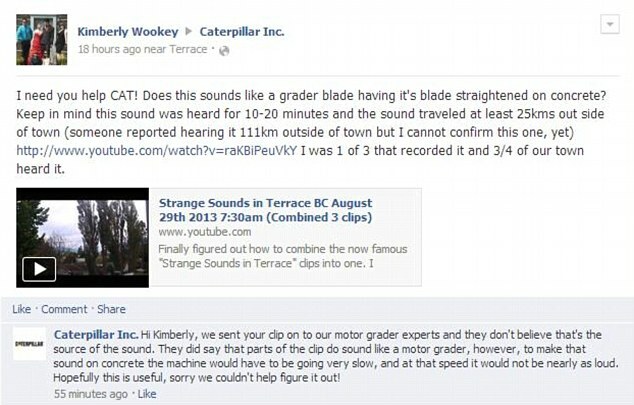 ‘I managed to record three clips showing almost five minutes of these strange sounds. After it was over and I sat down at the computer to upload the video. After checking my Facebook I noticed a lot of locals had heard the same sounds again but this time it was far more widespread. So what does the mother of four think the noises are? ‘I personally do not believe this has any religious connection, nor do I believe it is aliens, graders, trains, construction, etc,’ she added. Kimberly was so spooked by the sound coming from the sky she contacted her local construction company to try and get an answer. Her efforts hit a dead end when the company replied informing her that none of their machines could make such a noise (see screenshot above). Encounters with the noise has even caused some people to have vivid nightmares for days after the event. 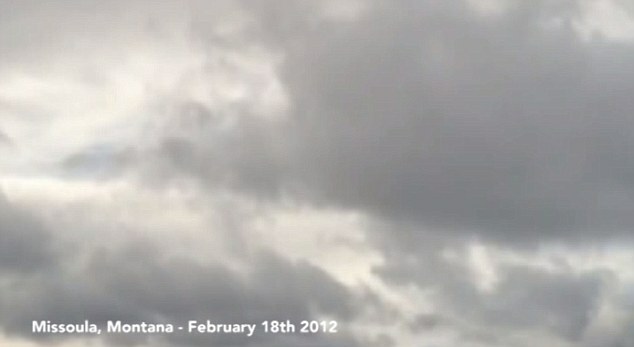 Aaron Traylor captured a recording in Montana in the U.S. on February 18, 2012, and said: ‘I’ve had vivid nightmares ever since I posted the very eerie strange sounds that has Missoula talking and looking towards the sky; awful, awful nightmares. ‘My wife woke me from a dream last night where she says I was screaming like she’s never heard me scream before. ‘I was taking my daughter out for her daily exercise along with my dog. I started to hear the sounds early on in our little adventure and the first time it was heard my dog perked her ears up and my daughter stopped in her tracks. ‘That sound was identical to the one I had taped later, and lasted just as long. Now since I’ve been following this worldwide strange sounds phenomenon for some time, the whole ‘End of the world’ thing popped instantly into my head. Aaron doesn’t subscribe to the theory that the noise is made by trains or aeroplanes. ‘The Missoula rail system is one very loud and unpredictable beast. Trains connecting their loads to another is a sound very familiar to locals. Loud bangs and screeches can be heard from nearly 10 miles away at any given point throughout the day,’ he added. ‘I’ve lived in this neighbourhood for nearly four years and have heard all kinds of planes coming and going overhead and on the runway. I’ve never heard a plane sound like this before. 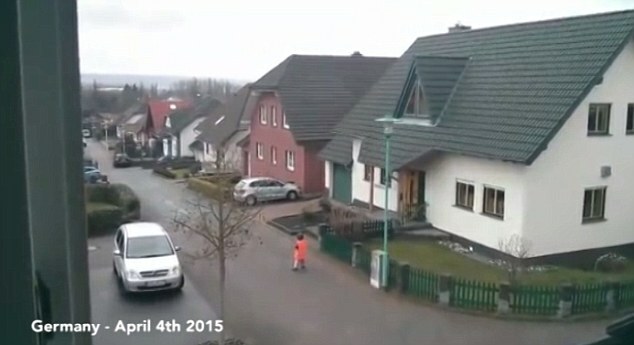 A video from Germany taken from a window pans onto a street and shows a child frozen still as the chilling sounds echo over the landscape. And in Salzburgh in Austria the noise is magnified across the Eastern Alps. Geoscientist David Deming from the University of Oklahoma has previously written about a phenomenon called The Hum – ‘a mysterious and untraceable sound that is heard in certain locations around the world by two to ten per cent of the population’. Writing in the Journal of Scientific Exploration, he said that sources of The Hum could include telephone transmissions and ‘aircraft operated by the U.S Navy for the purpose of submarine communications’. According to Nasa, the Earth has ‘natural radio emissions’. For instance lightning can produce eerie-sounding radio emissions, Nasa added. Earthquakes can also produce sub-audible sounds, according to seismologist Brian W Stump from the Southern Methodist University in Dallas.